One of our favourite spring-flowering bulbs! 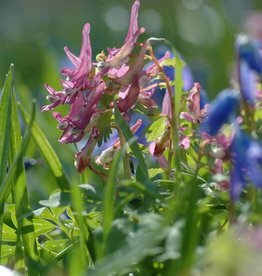 All Corydalis flower abundantly every spring. 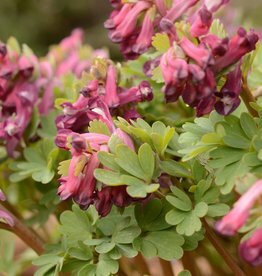 Corydalis cava (Holewort) and Corydalis solida (Fumewort) are easy to get mixed up. 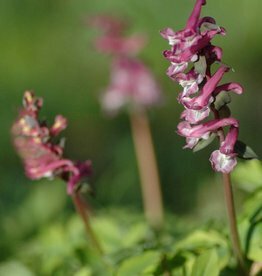 In our garden the two grow and flower alongside each other, so the difference is easier to see: Holewort is larger than Fumewort. 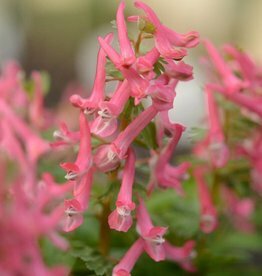 Moreover, Fumewort is an enthusiastic self-sower and naturalises easily; whereas Holewort is more reserved, although does set seed. 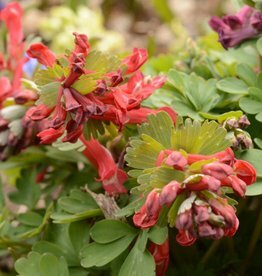 Corydalis solida varieties come in a range of colours, such as the pink ‘Beth Evans’ and the brilliant red ‘GB Baker’.